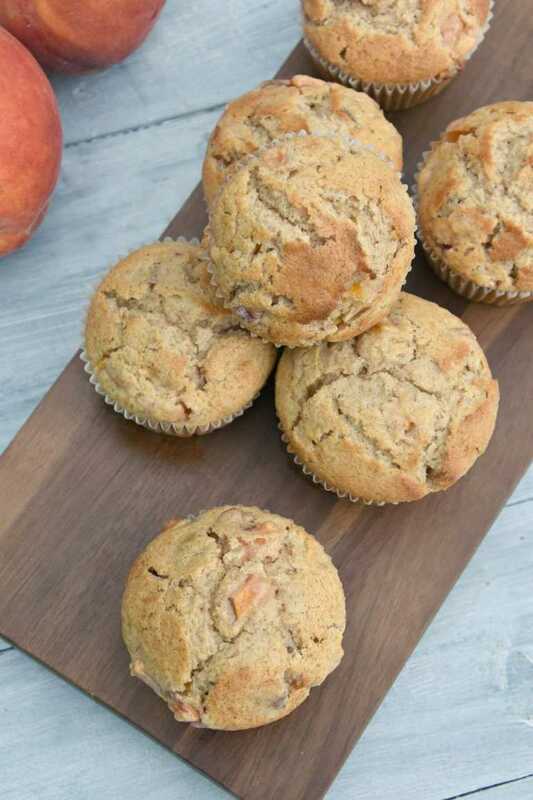 These peach muffins are perfectly soft and moist and bursting with flavor. Made with fresh peaches or nectarines and a splash of vanilla and spices. These are perfection! Muffins are one of my favorite things to make. We like eating them for breakfast around here, but they are also a nice sweet pick-me-up any time of the day. Check out this round up of our favorite muffin recipes or check out our perfect banana muffin recipe. 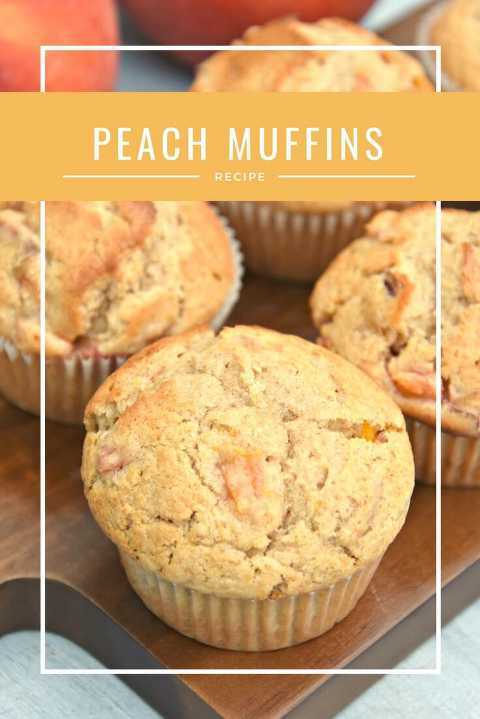 We have made and shared a lot of muffin recipes here over the years and these peach muffins might be my new favorites. I actually wasn’t expecting to like them as much as I did. I don’t know why they surprised me so much! Maybe it was how soft and pillowy they were all while being perfectly moist. Or maybe it was the delicious bursts of flavor from the fresh peaches. Whatever it was it all worked together to make one perfect muffin. I made these for my kids for a treat after their first day of school and they practically inhaled them when they got home. They were a hit and we will for sure be making more. Line a regular sized muffin tin with 9 paper liners. Add a little water to the remaining empty cups. Whisk flour, sugar, baking powder, ginger, cinnamon and the salt until well blended. Whisk together vegetable oil, egg, milk, vanilla and almond extract until blended. Pour into bowl with dry ingredients and stir until just combined. Do not over mix! Divide batter into the prepared 9 muffin cups, filling the paper liners all the way to the top. Bake muffins 15 to 20 minutes or until tops are golden brown. 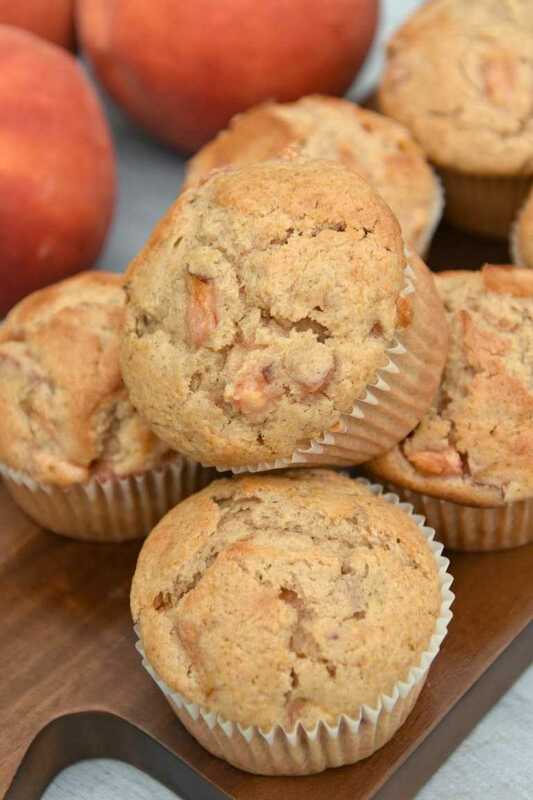 Today is the perfect day to make these muffins because it is eat a peach day! We are celebrating with our blogging friends and have rounded up some great peach recipes just in time for the holiday. Enjoy!